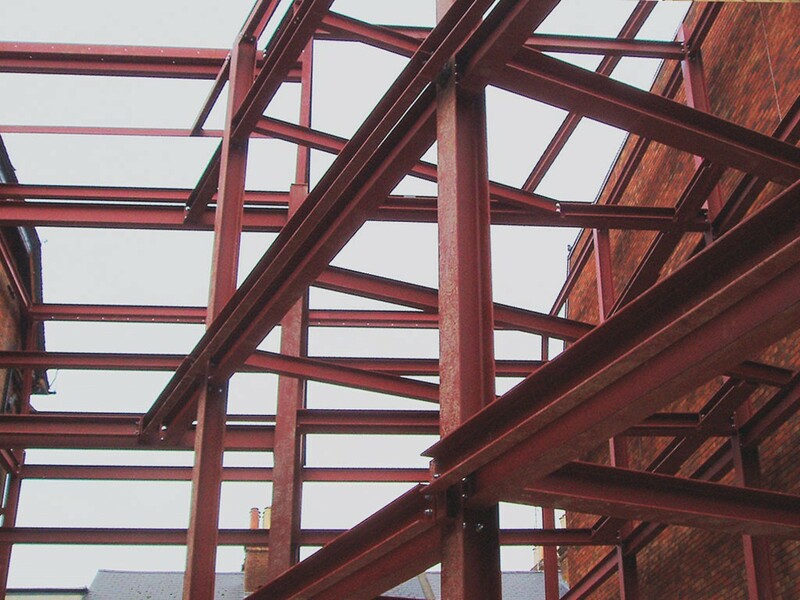 We undertake all kinds of welded metal work in Bristol, including stainless steel and aluminium work using both modern and traditional methods. Metalwork staircases can be objects of beauty as well as very functional items. We can provide dynamic solutions for exciting spaces such as theatres and restaurants, and provide striking statement pieces such as spiral staircases, or industrial pieces with a twist. If you have an elegant spiral or sweeping staircase piece in mind for your home, we can help you make even the most tentative designs a polished reality. Do you have an elevated entrance to your property that needs a bit of love? Why not make a feature of it by creating a bespoke area designed with our team? We work with our customers to create designs as diverse as them, with decoration in a variety of metals including wrought iron. In fact, as long as we’re working with you, you are part of our team too. We want your staircase to be everything you’ve dreamed of, and to become a feature, not something you’d rather faded into the background. 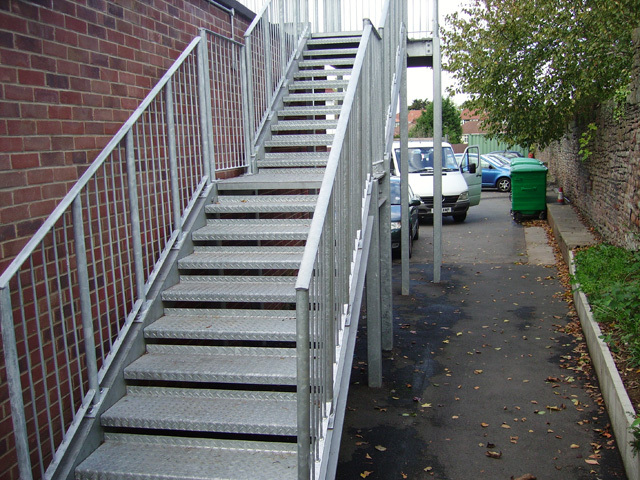 Building a staircase out of metal is also a great solution for outdoor spaces, due to its robust design and quality which make them much less slippery than their wooden counterparts. Metal staircases are often favoured by businesses which need to update their health and safety features to meet guidelines in terms of fire escapes, and we can help with ensuring that your premises meet with all the relevant legislation, giving you the power to spend more time on what matters to you. 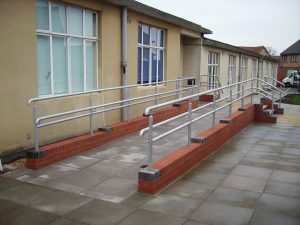 We’re keen that they never become eyesores either, and our team will work with you to ensure that they blend in with your premises in an inconspicuous way. Our variety of finishes are too vast to list and can be effortlessly blended with materials such as glass attached underneath your handrails to provide a warm, contemporary feel both inside and outside the home. So whether your staircase is a means to get you from A to B, or if you want it at the heart of your design, we can help bring your project to life. When it comes to security, you’ll naturally want the very best. 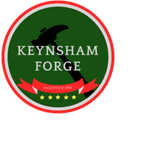 Keynsham Forge offers a wide range of security gate solutions that are tailor-made to you, including heavy-duty solutions for occasions when only the strongest security around will do, such as businesses which hold sensitive information, or high-value goods. We also offer customisable pieces such as turnstiles and revolving doors to ensure that you can create a setup that works for you. Pedestrian gates are designed to restrict the entrance of people on foot to your business or private property and are a popular choice for peace of mind in both a private or commercial setting. 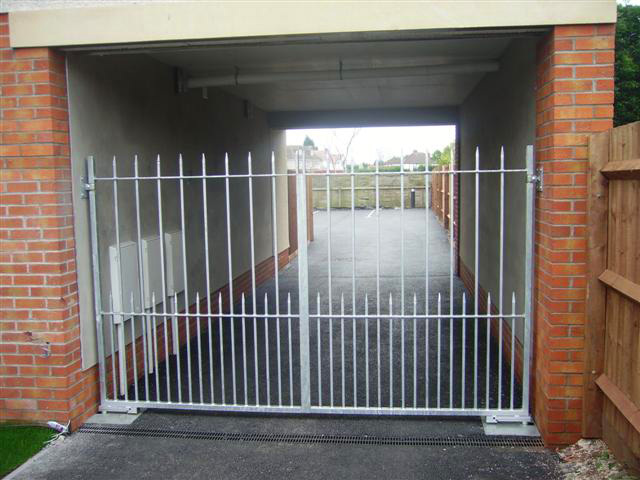 Keynsham Forge has a wide range of pedestrian gates available, from short gates designed for private use to more complicated set-ups designed for businesses and larger estates which encompass a hybrid of both pedestrian and vehicle gate security. Whether you want a thing of beauty to frame your property perfectly, or your specifications demand a focus on practicality, we can provide you the perfect fence railings. We’ve provided solutions for everyone from school premises to business owners, to private residential areas, with happy customers everywhere we go. 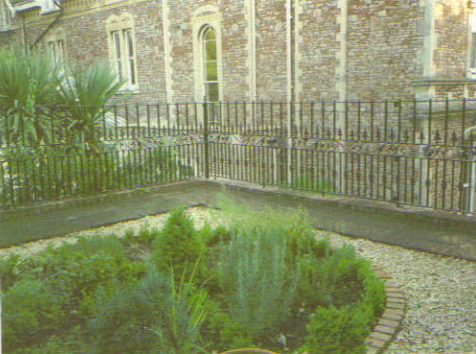 Metal fence railings are incredibly weatherproof, and unlike other solutions such as flimsy wooden fence panels, will not risk damage in heavy rain or wind.